Are you looking for composter that are affordable and easy to assemble? Today, garden owners are turning to wooden composters to recycle their garden waste. Wooden container made with well spaced slats are ideal for any garden. At Sheds to Last, we help you achieve your eco-friendly garden practices by providing composters that make work easy. Get rid of the unsightly debris in your yard by getting one of our composters that come with a flappable lid. The composters at Sheds to Last are built using high quality wood. We prefer thick wood instead of the thin slats that our competitors use. Our wood is sourced from managed sources and we preserve it with green preservatives. 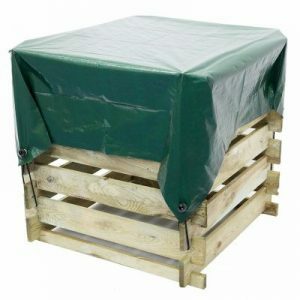 Our treated composter come with durability guarantee. Our composter enable you to maintain a low carbon footprint compared to the imported plastic composters. With composters from Sheds to Last, you enjoy easy assembly and our experts are always ready to help you if you are not a DIY person. The strong joints make the composters sturdy, and you can relax knowing they will withstand harsh weather. If you aren’t sure about the composter that fits your needs, we help you assess the activities in your garden and pick a befitting composter that is right for you. Our composters come in different height and dimensions. You can’t miss one that will work for your garden. If your garden needs additional compost space down the line, we insist that you choose our extendable wooden bins. We will help you attach an additional bin and we can increase the dimension by height or width to give you more space. You don’t have to start over with a large composter; Sheds to Last will help you add more space as time goes.